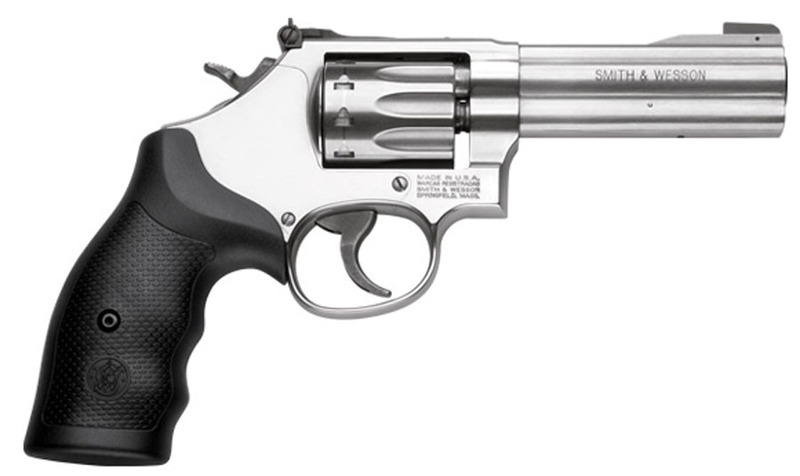 The Smith & Wesson stainless steel M617 10 shot revolver. Featuring a fluted cylinder, 4 inch full underlug barrel, adjustable rear with patridge front sight and factory rubber grips. 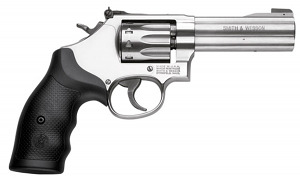 Chambered in .22LR, the 617 is perfect for the novice or experienced shooter for all day affordable fun.